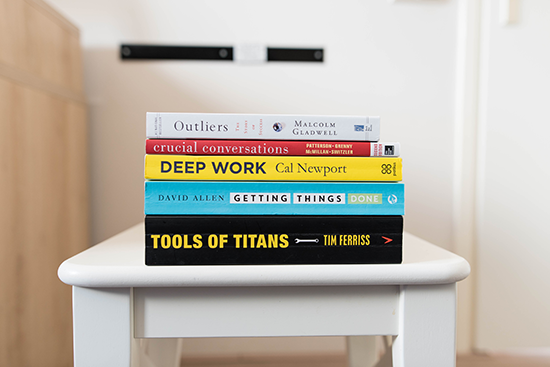 It's that time of year when Amazon releases their list of The Best Books of the Year 2016. Among the top list was one Science Fiction and Fantasy Novel called The Wolf Road by Beth Lewis, which was nice to see. A dystopian adventure, of course, The Wolf Road is an intimate cat-and-mouse tale of revenge and redemption, played out against a vast, unforgiving landscape—told by an indomitable young heroine fighting to escape her past and rejoin humanity. 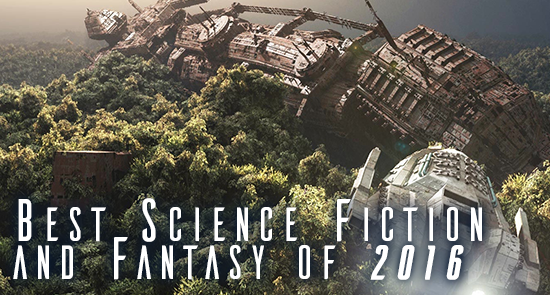 That story does look interesting, but what about the Best Science Fiction and Fantasy of 2016? True to form Amazon had list of the best of, for most genre so I headed over to see what was there and was surprised. I only knew about 2 or 3 of the twenty books in the list. I took a look through and saw four which interested me. Ninefox Gambit (Machineries of Empire Book 1) by Yoon Ha Lee was on that list so I haven't listed it below. You can find an entire post dedicated to it here (Up And Coming Reads | NineFox Gambit) and it's also part of a YouTube compilation I created here Book Highlights 2. One of fantasy's finest next-generation storytellers continues to break new ground. Afull-bodied, spellbinding fantasy adventures whose imaginative scope and sympathetic characters won a devoted readership and comparisons to fantasy masters Brandon Sanderson, Scott Lynch, and Tolkien himself. Since time immemorial, humans have worshipped the gods they call Fhrey, truly a race apart: invincible in battle, masters of magic, and seemingly immortal. But when a god falls to a human blade, the balance of power between men and those they thought were gods changes forever. Now, only a few stand between humankind and annihilation: Raithe, reluctant to embrace his destiny as the God Killer. Suri, a young seer burdened by signs of impending doom. And Persephone, who must overcome personal tragedy to lead her people. The Age of Myth is over; the time of rebellion has begun. In this gripping sci-fi noir for fans of The Martian and Quentin Tarantino, when an anarchic android begins wreaking havoc on a moon-based penal colony and bodies start turning up, an exiled detective must decide who he can trust in a city of criminals. Never bang your head against a wall. Bang someone else’s. Purgatory is the lawless moon colony of eccentric billionaire, Fletcher Brass and mecca for war criminals, murderers, and curious tourists alike. You can’t find better drugs, cheaper plastic surgery, or a more ominous travel advisory anywhere in the universe. But trouble is brewing in Brass’s black-market heaven. When an exiled cop comes to enact law and order in this wild new frontier, he finds himself the lead investigator in a series of high-profile murders that puts him toe to toe with the city’s charismatic founder and his equally ambitious daughter. Meanwhile, 2000 km away a memory-wiped android, Leonardo Black rampages across the lunar surface. Programmed with only the notorious “Brass Code”—a compendium of corporate laws that would make Ayn Rand blush—he journeys across the dark side of the moon with only one goal in mind: find Purgatory and conquer it.